This fabulous necklace from Treaty is made from silver plated clusters of small ball shapes to create a unique design. 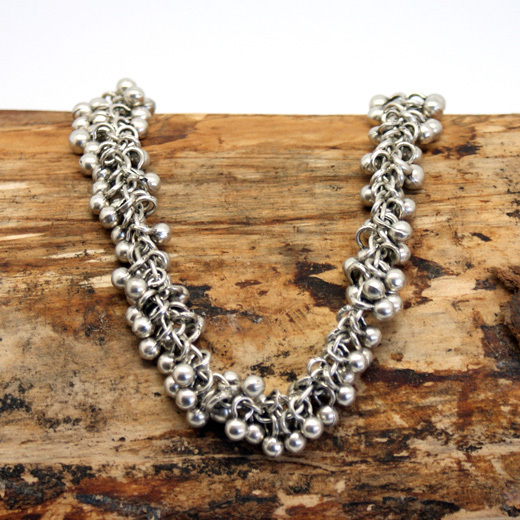 The necklace measures 58cm from end to end, fastening with a lobster clasp. Hand made in Turkey using age old techniques, it will make a beautiful addition to your outfit. 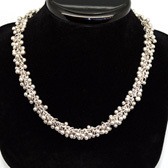 We have a bracelet and earrings to match this necklace here. 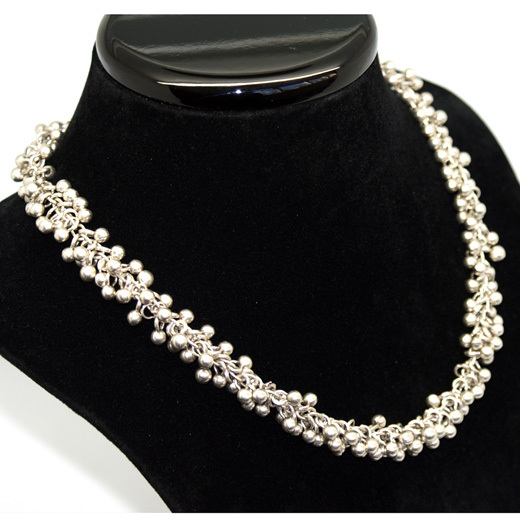 A high quality piece of jewellery made without the use of harmful irritants like Lead, Nickel or Cadmium. Treaty Jewellery is particularly suitable for customers who may be allergic to these base metals. Pioneering the use of .925 silver in the plating process to produce the burnished silver finish. Like all of our products, it is brand new and in stock in the UK, ready for our super fast shipping.